M·A·C Studio Fix 24-Hour Smooth Wear Concealer is a lightweight fluid concealer that provides seamless coverage, blurs imperfections and offers all- day comfortable wear. 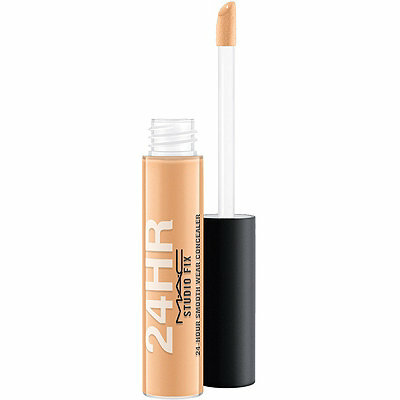 The formula wears up to 24 hours while providing medium-to-full buildable coverage. Skin looks smoother, even and selfie-ready. Its small sponge-tip applicator makes it easy to zero in on any area, making it your must-have magic wand. Skin looks fresh and perfected with a natural matte finish that’s never dry or cakey.